How do you get past the mundane and create an interesting, unique, and refreshing event? Memorable events don’t just happen. It involves lots of organizing and careful planning. It doesn’t matter if you have 3 weeks to plan or a year, your event venue’s success is in the planning and execution of the details. First, ask yourself what makes your business unique its field of competitors. What makes your business community stand out and have that unique vibe? It stands to reason with traditional business that traditional event venues are the obvious choice. But with the rise of the non-traditional business models being so successful and informal business climates heads above the rest in success and durability today, companies are stepping away from traditional cubicles in favor of the efficient, open work space of a private event rental venue. What about hosting your event in an airplane hangar? A parking lot? A barn? A winery? Well, maybe some places are too far from the norm to be a comfortable choice. Still others aren’t full of comfortable amenities as a private rental space, or they lack the ability for the necessary technology to deliver your message. A step outside the traditional ballroom to perhaps a rural winery, art gallery, or aquarium can give your organization a unique and fresh approach — a step into the unusual to foster a refreshing atmosphere of innovative and provocative thought. Plan early to book the venue, at least 6 months ahead of the big day. Make sure to research each location under consideration. Pick a unique and stunning backdrop for your next event. Your message will always reach your audience but will stay with them longer if you have made them feel special while delivering it! You will need to deliver the message. A strong A/V system and WiFi are tools you can’t go without. In our earlier examples of hosting an event in an airplane hanger, barn or parking lot, those places probably wouldn’t have WiFi or A/V capabilities at all, which would make it hard to present slides with numbers or illustrations of technique. Caterers with food will need to be able to heat and cool the food as necessary so the participants don’t get food poisoning. If your business group will split into work groups, will smaller think-tank rooms be needed and are they available? Ensuring the proper event mechanics in your unique venue are a necessity. Do your homework. Mixing unique and innovative with a touch of professional working atmosphere is important, but yet it’s not the traditional feel of the hotel ballroom. Your venue rental facility will have to meet all the logistical requirements without forsaking personality or charm. You need a unique space that can host the small, yet important, VIP dinner but still capable of accommodating a large-scale conference and impressing prospects or future clients. Find a fresh, interesting, unique atmosphere and invigorating vibe to make employees feel rewarded and clients appreciated. 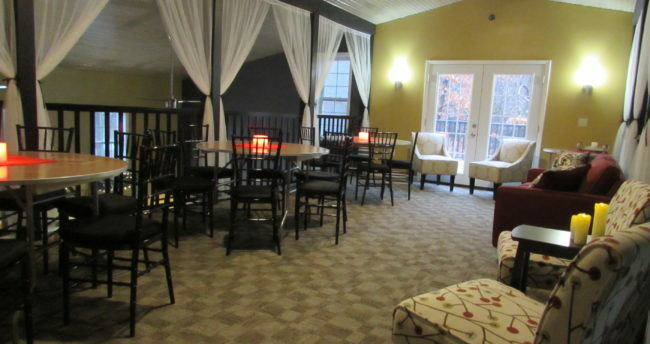 Find your next amazing private event rental facility with amazing food, delicious beverages, excellent service. Why not throw in free entertainment? Enjoy the planning process and visit each venue. Keep these tips in mind. Happy planning!